Hey everyone! 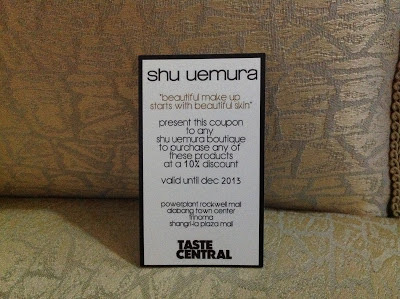 A few months back I saw new Shu Uemura products being offered via Taste Central and boy was I excited to see the magic word "BB" on one of them. I initially saw the offer a little late so they had no more stocks of the Revolutionary BB Perfector Set. Good thing I signed up for wait list so I got my own set when they restocked. 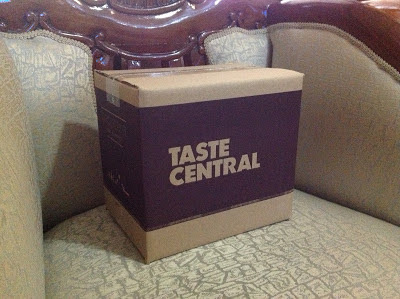 There's the familiar huge box which I guess is their standard package for any product they deliver. 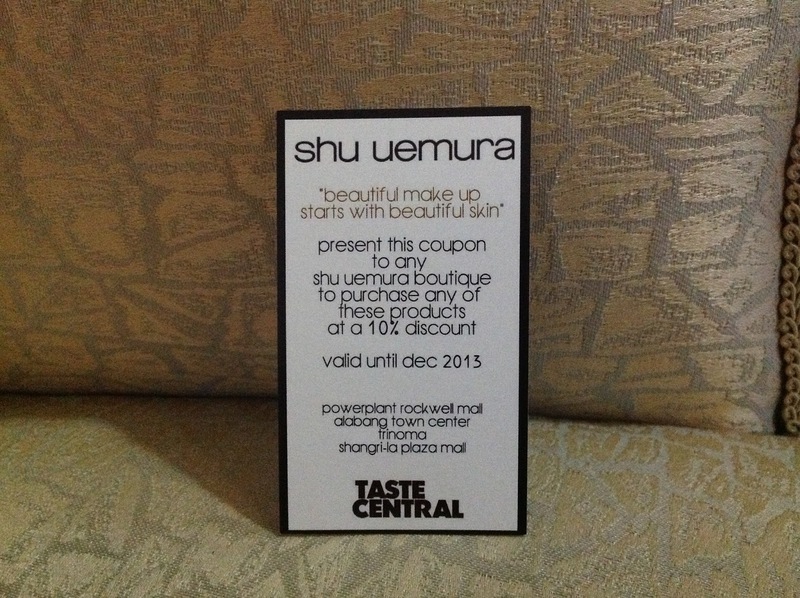 Inside is the Shu Uemura Revolutionary BB Perfector Set carefully packed in bubble wrap and the product invoice with discount coupon in a nice envelope. The set consists of the Stage Performer BB Perfector Skin Smoothing Beauty Cream and a Sheer Face Powder. This Shu Uemura Stage Performer BB Perfector Skin Smoothing Beauty Cream (wheh!) comes in a 10 ml sample tube. 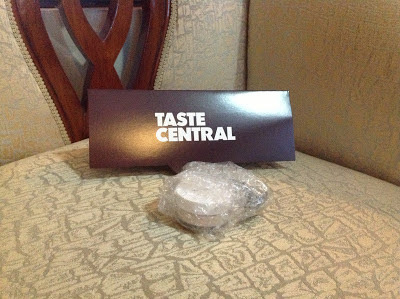 I'm not too crazy about the packaging though it's quite okay since it's in sample size, I'm still hoping the full size container isn't as crappy. 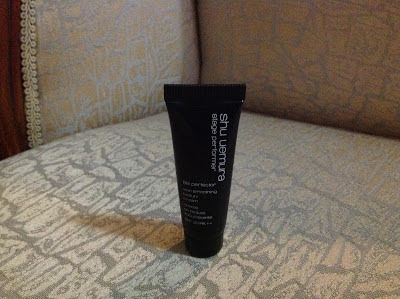 The texture isn't too thick and can be applied easily on your face. I love that you don't need a special tool or applicator to achieve a flawless finish because the product spreads effortlessly and blends well with your skin. It has light to medium coverage so you may still need a concealer for darker blemishes. Staying power is quite impressive when used alone or under a setting powder because it lasts for 6 hours without caking. I noticed a bit of it coming off in the area where my eye glasses' nose pads rest on my nose bridge but other than that I have no major complaints. It only comes in one shade so I'm really lucky it matches my complexion. It also has a pleasant scent which becomes almost undetectable after application. The set includes a sheer face powder housed in a container with a puff applicator. I love that it's small enough to fit in any pouch making it perfect to carry around. The powder has a very fine texture which reminds me so much of the Ben Nye Luxury Powder. It spreads easily and blends well with your skin. First time I used it on top of the Stage Performer BB Perfector Skin Smoothing Beauty Cream, it looked really good but I noticed caking under my eyes after about 3 hours. I wanted to see if which among the duo is more responsible for caking so I used them separately with other products. The cream lasted a good 6 hours with very minimal caking when used with the Ben Nye Banana Luxury Powder while the Shu Uemura sheer face powder looked good with my Tony Moly Luminous Goddess Aura BB Cream but had visible caking on the forehead and under eye areas after 3 hours. 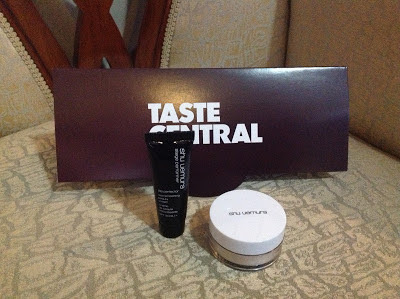 Overall, I think both products are worth trying but there are other brands that can offer the same or even better results with lesser cost. However, if you're really into trying out new stuff but lack the budget of getting the full size like me, you may get this sample set instead from Taste Central and decide later whether to get the full size. As for me, I won't be purchasing the full size but if given the opportunity to get at least one, I'd choose the Stage Performer BB Perfector Skin Smoothing Beauty Cream and use it with my Ben Nye instead of the Shu Uemura finishing powder. This discount coupon was also included with the package so those who would like to continue using the products may buy them at 10% off the regular price. Now that's a good deal!